Home / After the Award News / Grace Scott awarded the Chris Russell Medal of Excellence! Grace Scott awarded the Chris Russell Medal of Excellence! 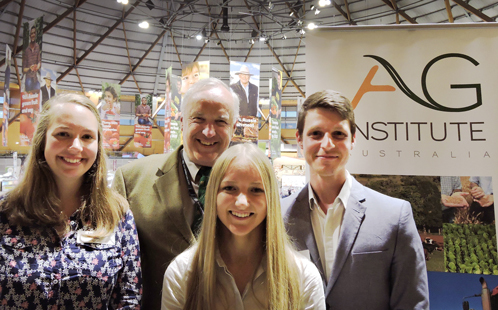 Grace Scott (2015/16 BBM Youth Support Horticulture Awardee) has been awarded the Chris Russell Medal of Excellence at the Sydney Royal Easter Show after her research into boosting the nutrition of crops was chosen from a crowded field of undergraduate projects entered by students across NSW. Read Full Article. We would like to give a huge congratulations to Grace on her work in the industry so far. We knew Grace would be one to watch when she received her BBM Youth Support Award and are over the moon with how she is excelling in her field.